Athlete blood testing - frankly it is one of those topics that no one talks about. While I have seen a few professionals talk Testosterone, I don't recall anyone discussing it openly in a general sense. As a result, I thought I would share my own blood test numbers, the process I took to get them, and the benefits I get from testing. 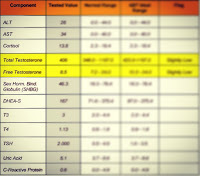 Complete test results, Testosterone and all are at the very bottom!!! Completing an Ironman Triathlon is tough and the months of high-level training can easily wreak havoc on the body. Getting a blood test before ramping up training is an essential part of the process as it establishes a baseline for my blood values. It also helps me understand if I am truly ready to embark on my training program and it gives me the confidence to do so. Many athletes look to blood tests ONLY when they are feeling off in the middle of the season. The problem with this approach is that I would have NO baseline to compare values to. I might have abnormal levels which could explain the issues, or those levels could have been abnormal all along. Establishing a baseline can help me and my doctors make better and more informed decisions down the road. Getting blood tests proactively under the "wellness" category is no easy task in the US Healthcare system. 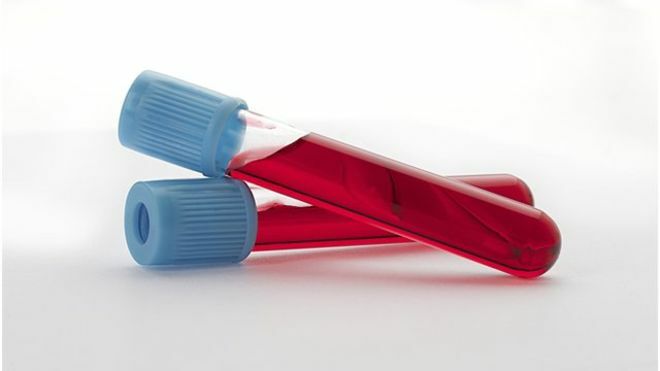 Typically people only get blood tests when they are sick, and as a result so called "wellness" testing is not frequently covered by insurance. In addition, unless your doctor is familiar with endurance athletes, chances are he/she might not even prescribe the testing or understand why you need to be tested. I decided to go with a Dr. Garret Rock at Athlete Blood Testing for my blood test. InsideTracker and BluePrint are two other services I considered but Dr Rock has been intimately involved in research on using blood biomarkers in athletes for 8 years. 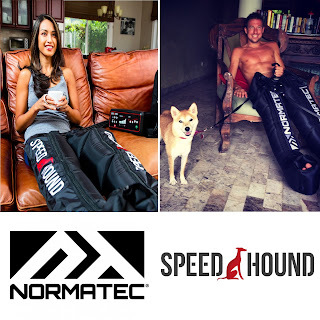 He has personally worked with thousands of professional athletes including pro triathletes, runners, and cyclists. Dr. Rock's expertise allows him to truly understand the significance of blood biomarkers in a way that no general physician or other service can. In his words, Dr. Rock says: "Don't try to interpret yourself. I have seen tens of thousands of tests on athletes now and analyzed a giant database that we've been populating over the last 4 years, as well as read thousands of studies...and I am still learning something new occasionally. To get the most out of your tests, rely on those that have a comprehensive understanding of how to tie all of the information together. It's much more complex than simply looking at a number and comparing to normal/abnormal range. Ideal ranges and normal ranges vary based on your age, gender, and frequency/duration/intensity of training/racing. These should be factored in to your interpretation." 1) Selecting the test panel. I opted for the Gold Panel as I wanted the most comprehensive panel to establish my baseline. I added it my cart and completed the checkout process answering a few questions along the way. I received a confirmation email that included instructions on the closet LabCorp location to get my blood drawn from. 2) Get Blood Drawn - My LabCorp location doesn't need an appointment, but because I had already eaten that day and I was told to fast, I opted to use the online scheduler and scheduled an appointment for the next day, a Thursday FWIW. There is no additional payment at LabCorp, my payment to AthleteBloodTest covered all the testing. I was in an out of LabCorp within 10 minutes. 3) Get Results - I had my report emailed to me on the following Monday. I also had a chance to talk to Dr. Rock on Tuesday over the phone, although phone follow-up is an additional charge. Here is my report. Dr. Rock explained to me that I was the 1 in 100 with ideal labs and that the typical lab results and reporting are much more complicated than mine. His work with professional triathletes has shown that an extremely high number of them have deficiencies in: Iron, Vitamin D, and/or Magnesium. However, I did not have any deficiencies. I will say that I have been supplementing all three over the years, and I know MgSport is proud of me for keeping my Magnesium levels up. I know Matt Miller at Base Salt is proud of my electrolyte numbers. While my Testosterone was on the low side of normal, Dr. Rock was also confident that my numbers were unlikely to fluctuate significantly given a similar training profile as previous years. He also assured me while they were on the low side of normal, they were quite normal among my professional peers. My LDLs are a little high, but frankly much lower then when I wasn't a triathlete altogether. Overall getting my blood tested was a very positive experience. Not only did it clear the path for my training, but it was also hugely refreshing mentally knowing where my numbers were. If you are interested in getting your own Athlete Blood Test you can do so and save 10% in the process with Athlete Blood Test Coupon Code: bloodtest10. 10% off brings the plans to Gold ($314), Silver ($224), and Bronze ($143). Hi, Thomas. Thanks for posting this. 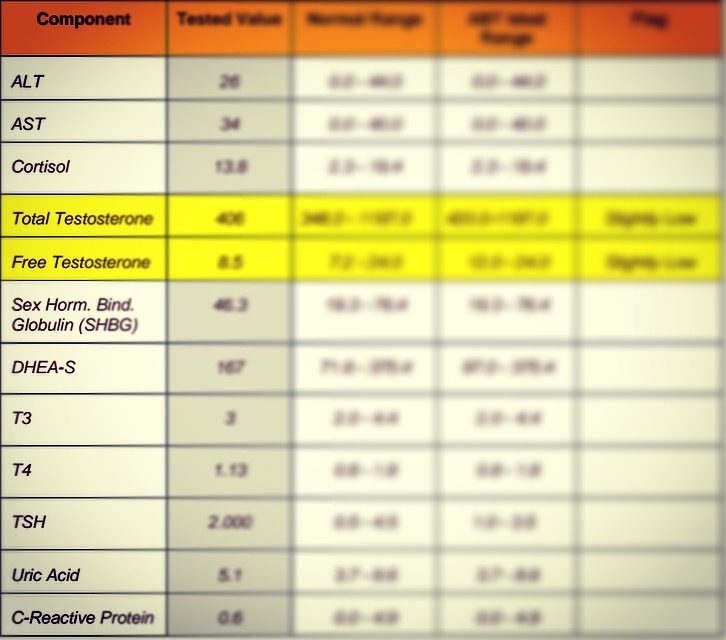 I didn't see any Creatine Kinase levels in your test. I am curious about seeing what CK levels might be in other people who run or exercise regularly (mine are generally about 405-497). As for the cholesterol, my levels were almost exactly the same as yours before I was put on statins by my cardiologist (I was also vegan at the time, but arterial plaque is what it is). It might be worth checking into. If you are prescribed statins, I recommend water-soluble over fat-soluble statins. There is much less muscle fatigue with the former. I am currently on the latter, and am often sore, though I don't let that stop me! I chose the "everything and kitchen sink" plan and it wasn't in there for CK. As for Cholesterol levels, your LDL are one thing, but it is really the size of the molecules more than anything. You can have high LDL and be relatively low-risk and low LDL and be relatively high-risk. There is another test for particle size that your doctor can do. This test here is more of a test of your ratios of HDL-LDL-TRI than anything else. If you want to know particle size you have to do a Vertical Auto Profile (VAP) test and/or Lipoprotein Particle Profile (LPP) test.